When I see a building that people pass through everyday. I try to look at it differently, look up once in a while. 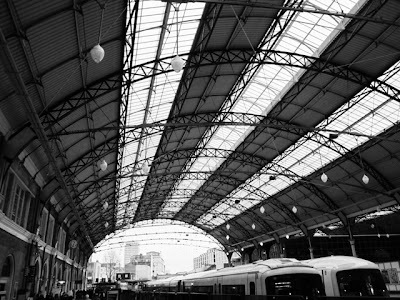 This is Victoria Station in London. The have finished restoring the incredible roof. In black and white I think it looks quite dramatic.